With the baby boomer era now reaching retirement age, the demand for physical therapist assistants (PTAs) has increased significantly. While under the supervision and direction of a licensed physical therapist, physical therapist assistants help patients of all ages with medical and health conditions that limit mobility and functionality. The care PTAs provide may include mobility, strength, and coordination exercises to aid patients in regaining their ability to perform normal activities of daily living. According to the U.S. Bureau of Labor Statistics (BLS), PTAs who have earned an associate’s degree in physical therapy assistance can plan on making a median annual salary of $39,430, with the lowest 10 percent earning $32,420 and the highest 10 percent making $72,720. For those who wish to further their career goals and ascertain a higher paid position, taking the proper certifications through the governing organizations of physical therapy will ensure job stability in today’s growing PTA industry. Becoming a physical therapist assistant is just the first step in the path to career advancement. Once students have earned their Associate of Science in Physical Therapy Assisting and obtained their license to work legally in most states, they can go on and earn further certification in a specialized sector of this industry. Depending on their career aspirations, physical therapist assistants may develop their physical therapy skills by taking the following specialized exams through the American Physical Therapy Association (APTA). Physical therapist assistants can become further qualified in this field by obtaining clinical experience in a residency and fellowship program, which takes place after graduation. When searching for a residency and fellowship program, PTAs should make sure the program is credentialed through the American Board of Physical Therapy Residency and Fellowship Education (ABPTRFE). Residency Programs: These programs teach PTAs the skills and knowledge needed for clinical patient/client management as well as nonclinical focusing. Fellowship Programs: PTAs will learn about the knowledge and skills needed to obtain a subspecialty in physical therapy. Fellowship programs require a minimum of 1,000 clinical hours in less than 36 months. Individuals who wish to certify in a specialized sector of physical therapy can take the qualifying exam through the American Board of Physical Therapy Specialties (ABPTS). Specialization allows PTAs to acquire the knowledge, experience, and skill needed to succeed in a certain sector. Physical therapist assistants can develop the techniques and skills they need to provide an effective, structured clinical learning environment. PTAs can go on to teach students by enrolling in the CCIP through the American Physical Therapy Association (APTA). The CCIP is meant for those who work in clinical settings and wish to hone their teaching abilities, helping PTAs refine their teaching, instruction, and guidance skills. Physical therapist assistants who successfully complete these courses will receive 1.5 CEU’s as well as the Clinical Instructor (CI) credential. The post-professional DPT degree allows PTAs to augment their knowledge, behavior, and skills, ensuring they maintain a consistent level with the current entry-level standards of professional DPT. This degree reflects the depth of experience physical therapist assistant hold. PTAs can choose between a variety of leadership development programs through the APTA, helping individuals hone their leadership skills for career advancement. Physical therapist assistants who wish to become a board member, committee chair, or officer should take advantage of the available resources that are offered by the Component Governance and Leadership Department. For those who wish to achieve advanced proficiency in a specialized sector of this industry, the APTA offers a PTA Recognition of Advanced Proficiency Program, recognizing PTAs who have demonstrated advanced proficiency in education, leadership, or experience. This program increases one’s confidence in patient care, offers external recognition for career advancement, reinforces life-long learning, and provides career distinction. A recent report issued by the BLS shows that the employment outlook for physical therapist assistants is predicted to increase by 41 percent, providing another 49,400 job opportunities throughout America. Individuals who wish to further their career as a certified physical therapist assistant have various advancement opportunities available to them through the governing organizations of physical therapy. With the growing demand for PTAs to help patients reach pre-injury status, individuals who are contemplating a role in this industry can take advantage of the numerous employment opportunities and consistent job stability this career offers. 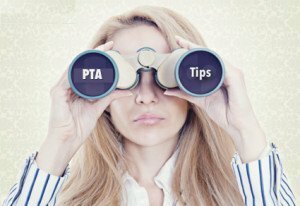 Find a PTA school in your state.